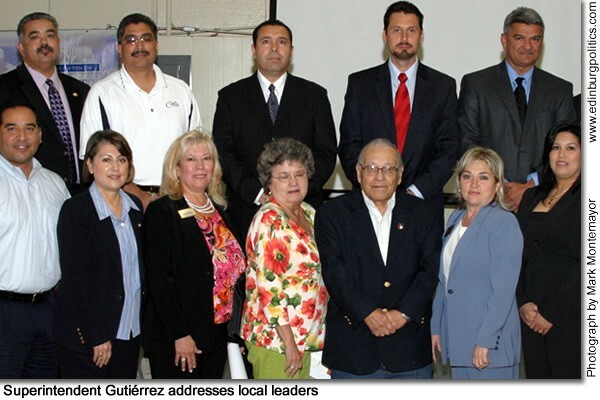 René Gutiérrez, the new superintendent of the Edinburg school district, featured center, back row, on Thursday, September 24, was the keynote speaker before the Edinburg Chamber of Commerce Governmental Affairs Committee. Gutiérrez, who was selected superintendent by the Edinburg school board in June, addressed current topics being discussed within the school district including, but not limited to, new schools being built. Gutiérrez, a recent immigrant from Mexico and former migrant, attended McAllen schools and graduated from McAllen High School and then attended Texas Southmost College at Brownsville where he received an Associate Degree in Applied Science. 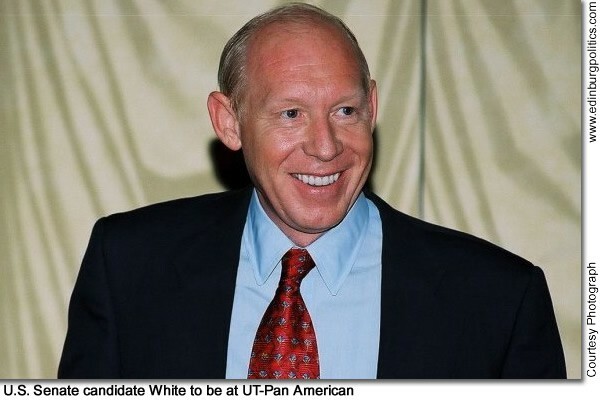 He received a Bachelor in Business Administration (BBA) from Pan American at Brownsville; a Master of Education Degree from the University of Texas – Pan American; and a Doctoral Degree in Educational Leadership. His doctoral dissertation is entitled Factors Contributing to the Academic Achievement of Mexican-Origin Immigrant High School Students. Featured, front row, from left: Robert Peña, Jr., ECISD trustee; María Luisa Guerra, ECISD assistant superintendent for instruction and support services; Elva Jackson Garza, vice-president, Edwards Abstract and Title Company; Carmen González, ECISD trustee; Ciro Treviño, ECISD trustee; Letty González, president, Edinburg Chamber of Commerce; and Cynthia G. Bocanegra, incoming chairwoman, Edinburg Chamber of Commerce. Back row, from left: Johnny Rodríguez, owner, Austin Personnel Services; David Torres, ECISD trustee; Dr. Gutiérrez; Rigoberto Abrego, ECISD assistant superintendent for finance/operations; and Mario Salinas, ECISD assistant superintendent for district administration. 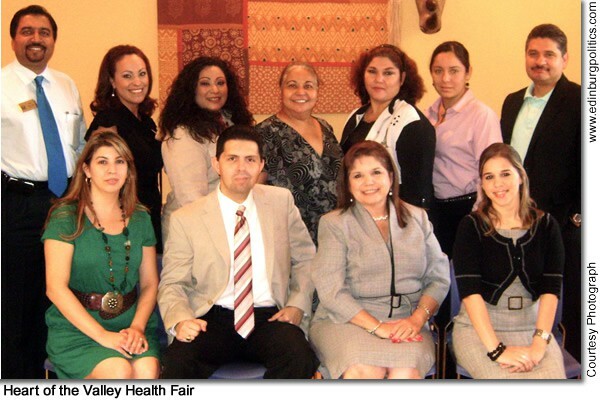 The McAllen Chamber of Commerce invites everyone to participate in the 26th Annual Heart of the Valley Health Fair, set for Sunday, November 22, from 8 a.m. to 1:30 p.m., at the McAllen Convention Center. Through this yearly event, area residents are educated about the latest treatments, procedures, services and technology available in the Rio Grande Valley. Exhibitors at the health fair will offer free health screenings in cholesterol, diabetes, blood pressure, vision/glaucoma, dental, chiropractic and bone density as well as educational information. More than 6,000 Rio Grande Valley residents and Winter Texans usually participate in the services offered at the health fair. The health fair will also feature a children’s section, which promotes health and wellness in children. Contests will be held with door prizes being awarded to the best coloring contest participant in three different age categories and to the child who makes a Hole-In-One at the Miniature Golf contest. 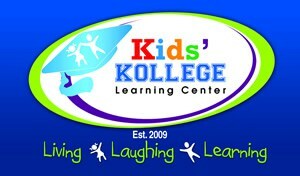 Entertainment will provided for children as well as health and safety education. The health fair is one of the largest health fairs in South Texas, and represents excellent opportunity for the region’s health care providers to promote their business. For complete details about the health fair, sponsorships or for booth reservation information, contact Luis Cantú or Laura Robles at 682-2871. Organizers for the upcoming event are featured, from left, sitting: Lisa Garza; Luis Cantú; Brenda Greagrey; and Lizette Montoya. Standing, from left: Hari Namboodiri; Yvonne Olivarez; Jessica Eckbledt; Brenda Lee; Nancy Alaniz; Laura Galván; and Joel Davila. 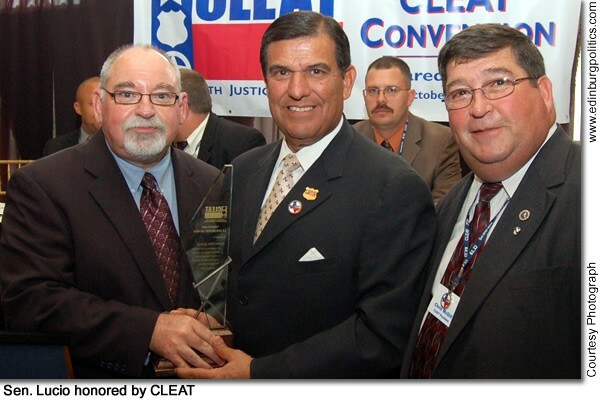 Chris McGill, featured right, who is president of The Combined Law Enforcement Associations of Texas (CLEAT), and Charley Wilkison, featured left, CLEAT’s public affairs director, on Friday, October 2, presented Sen. Eddie Lucio, Jr., D-Brownsville, with the organization’s Visionary Leader Award for his legislative work on behalf of Texas peace officers. The honor was bestowed during that organization’s convention, held in Laredo. The award was part of a ceremonial bill signing by Gov. Rick Perry of Lucio’s Senate Bill 872, which was approved by lawmakers last spring. SB 872 allows survivor families of law enforcement officers who are killed on duty to remain eligible for health insurance and at affordable rates. 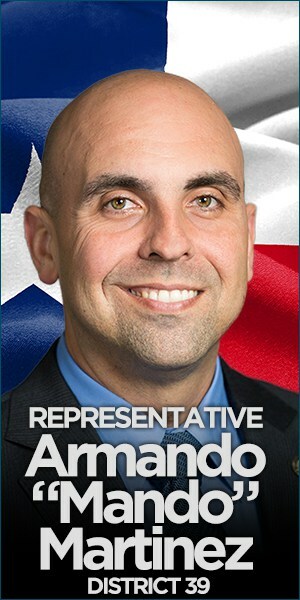 Rep. José Menéndez, D-San Antonio, was the House sponsor of that legislation. See story later in this posting. 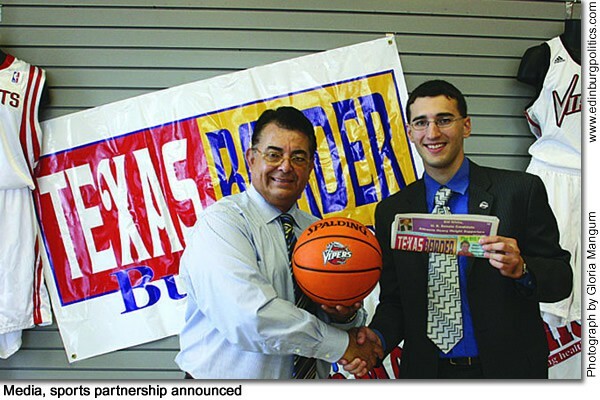 Roberto Hugo González, featured left, publisher of Texas Border Business and Mega Metropolis Health & Fitness, and Jonah Golberg, Director of Communications for the Rio Grande Valley Vipers NBA Development League, have signed a co-branding agreement beginning this season. In general, co-branding is defined as when two companies form an alliance to work together, creating marketing synergy. Soon, area sports fans will notice caps, T-shirts and more promoting this co-branding partnership. González and Golberg are inviting the Rio Grande Valley and northern Mexico to attend and witness the Vipers’ first home game on Friday, December 4 at 7:30 p.m. against the Tulsa 66ers at Dodge Arena. “It’s huge to be partners with businesses in the community,” said Golberg. “It helps to show our commitment to the Rio Grande Valley and theirs to having quality, family-affordable fun entertainment in the Valley.” See story later in this posting. Houston Mayor Bill White, featured in this campaign portrait, is bringing his campaign for U.S. Senate to Edinburg on Friday, October 9, from 5 p.m. to 7 p.m. in the Fine Arts Auditorium at the University of Texas-Pan American. The event is free and open to the public. White, a Democrat, is one of a growing number of candidates seeking to replace U.S. Sen. Kay Bailey Hutchison, R-Texas, who is expected to resign her federal post in the coming weeks in order to file for the March 2010 Republican Party primary for governor. Former Texas Comptroller John Sharp, a Democrat, and Texas Railroad Commissioner Michael L. Williams, a Republican, are among the other high-profile candidates also seeking to succeed Hutchison. No date has been set for the election to replace Hutchison if she leaves her Senate seat later this fall, but Hutchison must decide by January 1, 2010 whether she will file for reelection to the U.S. Senate or file for governor. South Texas College’s History Department and The University of Texas at Austin’s Center for Mexican American Studies have joined forces to produce a landmark symposium, “The Old Valley/New Valley: Analyzing the Past, Present, and Future of the Lower Rio Grande Valley.” The event brings scholars and experts from across the United States and Mexico to talk about Valley history, economics, culture, education, medicine and more. The symposium kicks off with a reception on the evening of Wednesday, November 4, with full days of panel discussions from Thursday, November 5 through Saturday, November 7. All activities take place at STC’s Pecan Campus Cooper Center, located at 3201 West Pecan Boulevard. in McAllen. Admission to all symposium events is free and open to the public. See story later in this posting. Democratic U.S. Senate candidate John Sharp has endorsed the approval of Proposition 8, a constitutional amendment designed to help bring a Veterans Administration Hospital to deep South Texas. Earlier this fall, Gov. Rick Perry, a Republican, also endorsed the passage of Proposition 8, which is one of 11 proposed constitutional amendments that will be facing Texas voters. On Tuesday, September 29, Sharp called on all Texas voters to say yes to Proposition 8, which is one of 11 state constitutional amendments set for action by state voters on Tuesday, November 3. Proposition 8 has strong Valley roots, with area veteran group leaders, organized under an umbrella group known as the Veterans Alliance of the Rio Grande Valley, and local legislators spearheading the effort last spring with the passage of House Joint Resolution 7 (HJR 7), which placed the issue on the statewide ballot as Proposition 8. Rep. Ismael “Kino” Flores, D-Palmview, Rep. Armando “Mando” Martínez, D-Weslaco, Rep. Ryan Guillen, D-Rio Grande City, and Rep. David Leibowitz, D-San Antonio, were authors of HJR 7. 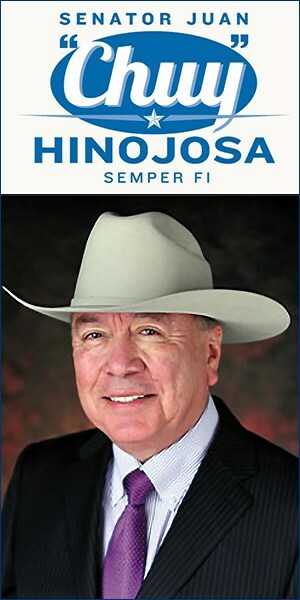 Sen. Juan “Chuy” Hinojosa, D-McAllen, was sponsor of HJR 7, with Sen. Eddie Lucio, Jr., D-Brownsville, serving as cosponsor of the legislation. Sharp said Proposition 8 is significant because for the first time it allows Texas to take the lead in authorizing financial resources, property donations, construction costs, and equipment for veterans’ facilities instead of having to rely exclusively on Washington, D.C. Proposition 8 will help all regions of the state but especially South Texas, where congressional and local officials, veterans’ activists, and other community leaders have worked for years to overcome federal obstacles that would make it possible for veterans to seek medical care closer to home without having to travel hundreds of miles to San Antonio, Sharp added. Sharp said that even if Proposition 8 is approved by voters this November, the final step will still be passage of federal legislation authorizing a Veterans Administration hospital in the Rio Grande Valley. Proposals to build a facility have stalled in the United States senate for years. Flores said the national legislation, which has been led by the Valley congressional delegation – all Democrats – and the state’s two U.S. senators – Kay Bailey Hutchison and John Cornyn, both Republicans – makes clear the need for the medical complex. “Federal legislation currently pending in Congress has further emphasized that the Rio Grande Valley is deserving of a comprehensive, fully staffed, full-service VA Hospital complex, and under the scenario envisioned by Congress, this medical facility should be valued at about $175 million,” said Flores. Building a VA Hospital in deep South Texas would have an impact beyond the Rio Grande Valley, said Martínez. “A Valley-based VA Hospital would not only serve local veterans, but also scores of veterans from all parts of Texas and Mexico, and those veterans from other regions of the United States who make their residence in deep South Texas during the winter months,” Martínez noted. 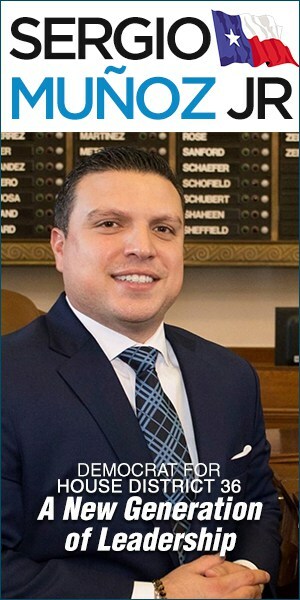 Rep. Aaron Peña, Jr., D-Edinburg, last spring explained why a VA Hospital in the Valley is needed, even as the federal government continues to make improvements to the veterans health care systems in the region. For Texans who will not be able to cast their ballots on November 3, early voting is scheduled to begin on Monday, October 19 and last through Friday, October 30, according to Texas Secretary of State Esperanza “Hope” Andrade. Voters may contact their county elections office to determine polling locations, hours and if early voting will be available on the weekend. According to the House Research Organization (HRO), which is the nonpartisan legislative research arm of the Texas House of Representatives, about 1.7 million veterans currently live in Texas. Also according to the HRO, the U.S. Department of Veterans Affairs operates only nine in-patient veterans’ hospitals in Texas – in Amarillo, Big Spring, Bonham, Dallas, Houston, Kerville, San Antonio, Temple, and Waco – but none in the Rio Grande Valley, which, according to the U.S. Census Bureau, is one of the fastest growing regions in Texas, with more than one million residents (Hidalgo County, 726,200, Cameron County, 392,746, Starr County, 62,249, and Willacy County, 20,600). For thousands of current and future veterans who live in deep South Texas, in order for them and their families to benefit from comprehensive crucial medical services for which they are entitled, they must travel to the nearest VA Hospital in San Antonio, which is up to 250 miles away, the HRO report found. Such trips for South Texas veterans to the Audie L. Murphy Memorial VA Hospital in San Antonio, those journeys, which can take up to five hours – one way – by car, represent financial and personal hardships for them and their families. In considering legislation last spring such as Proposition 8, Texas lawmakers documented the serious roadblocks facing area veterans who needed to get to the Audie L. Murphy Memorial VA Hospital for medical care. For veterans who must go to San Antonio several times a month, the time lost to travel can make it difficult to hold a job; the demands of such a trip also place a great burden on family members who have to take time off from work, and possibly arrange for child care, to drive a veteran to San Antonio, and who may need to make such trips for many years; the cost of gas and meals, in addition to the expense of lodging, if that is required, substantially exceeds the prescribed travel allowance. With nearly 2.2 million new homes likely to be built in Texas in the next 20 years, a new report finds that building these homes with energy-efficient technology and solar energy systems would reduce homeowners’ energy bills by $5.4 billion—a net savings of $480 per household per year. The McAllen-Edinburg-Mission metropolitan area would save 1.47 billion kilowatt hours per year in 2030, avoiding the need for 205 megawatts of electricity (the size of a typical natural gas plant). That area’s homeowners would save $318 million per year on their energy bills. Environment Texas Research and Policy Center’s report, “Building for a Clean Energy Future”, also demonstrated that homes with energy efficient and solar technologies cut pollution and save water. Two Texas agencies are currently considering rules to help promote solar power and energy efficiency. First, Comptroller Susan Combs and the State Energy Conservation Office (SECO) are expected to decide this fall whether to adopt the latest efficiency standards for new homes. The standards would require new homes to be approximately 15% more energy efficient than currently required. Environment Texas Research and Policy Center urged Comptroller Combs and SECO to adopt the 2009 International Energy Conservation Code and require homebuilders to comply within one year of adoption. Second, the Public Utility Commission (PUC) of Texas will soon consider new requirements on Texas electric companies to provide incentives for homeowners for solar power and energy efficiency. Current law requires electric utilities to offset part of the growth in electric demand with energy efficiency programs, including rebates for “Energy Star” homes. The group urged Governor Perry and the PUC to create a statewide solar rebate program and to increase spending on energy efficiency by 150 percent. Everyone knows that when the Vipers’ team came to South Texas, the face of the Valley changed dramatically – and it changed for the better. That is why Roberto Hugo González, publisher of Texas Border Business and Mega Metropolis Health & Fitness and Jonah Golberg, Director of Communications for the Rio Grande Valley Vipers NBA Development League, recently signed a co-branding agreement beginning this season. In general, co-branding is defined as when two companies form an alliance to work together, creating marketing synergy. Soon, area sports fans will see caps, T-shirts and more promoting this co-branding partnership. González and Golberg are inviting the Rio Grande Valley and northern Mexico to attend and witness the Vipers’ first home game on Friday, December 4 at 7:30 p.m. against the Tulsa 66ers at Dodge Arena. The Vipers’ season starts on Friday, November 27, with that first game on the road in Austin, with tip-off scheduled for 7:30 p.m.
“Fans in the Valley can follow the team by listening to JACK 104.9/95.3 FM or online by watching the game using NBA Futurecast for free,” Golberg added. Golberg also pointed out that everyone in the NBA Development League is watching them. “No one’s ever hosted an NBA Team for Training Camp and an exhibition game before. They want to see how this works. The Vipers have become the trailblazers for innovation in minor league basketball. We plan to keep it that way,” he said. As far as the importance of this team for the Rio Grande Valley, he said that the numbers speak by themselves. “We’ve shattered our previous season tickets sold mark, and we’re still about two months away from the start of the season,” Golberg said. Texas Border Business was told that Vipers have sold about 1,300 season tickets so far. “There has been a noticeable buzz around the community and if we can make people in the Rio Grande Valley happy, we’re doing our jobs correctly,” Golberg said. Last year, the Vipers averaged about 3,600 fans per game, including two sell-outs in the last four games, so this year they are expecting at least 4,500 per game. “We had a franchise-record 5,903 fans for our final home game on April 11,” he stated. Season tickets and group tickets are on sale now and can be purchased by calling the Vipers at (956) 972-1144 or stopping by the Vipers’ Pro-Shop at 4500 N. 10th. St. in McAllen (Uptown Plaza). Individual game tickets will go on sale later in October. For more information, visit rgvipers.com. After one day of trial testimony, Jorge Hernández-Hernández, 38, on Tuesday, September 29, decided to plead guilty to conspiracy to transport illegal aliens that resulted in the drowning death of nine aliens, United States Attorney Tim Johnson announced. Hernández-Hernández’ decision brought the one-day jury trial to an abrupt end on September 29. United States District Judge Randy Crane accepted the defendant’s guilty plea and has set sentencing for December 15, 2009. On August 9, 2004, Border Patrol (BP) agents on horseback patrolling an area south of Pharr, came upon a vehicle that had overturned into an irrigation canal and called emergency personnel from the Hidalgo police department. Upon arriving at the accident site, several Hidalgo police officers jumped into the canal and retrieved the bodies of seven individuals who had drowned. Two other bodies were discovered inside the vehicle when it was removed from the canal. The nine deceased aliens were from El Salvador and Honduras. The subsequent investigation conducted by agents of the Immigration and Customs Enforcement (ICE) and the Texas Department of Public Safety (DPS) lead the agents to identify several individuals who were involved in this smuggling venture to include Hernández-Hernández. The agents discovered the driver of the car was a 17-year-old who had been hired by José Antonio Arispe-Elizondo, 28. The juvenile told authorities that on that night, he agreed to pick up the aliens while Arispe-Elizondo and other conspirators served as look outs for BP agents. He also told the agents he was instructed by Arispe-Elizondo to turn off his headlights to avoid being detected by BP agents. Because he drove the vehicle near the canal with the headlights off, he made a sharp turn and ended up falling into the canal. Arispe-Elizondo lead a group of five men whose work for Hernández-Hernández involved picking up loads of illegal aliens from near the river and transporting them to stash houses located north of Edinburg. Hernández-Hernández ran and operated the stash houses. Hernández-Hernández, who has been in federal custody without bond since October 20, 2008, is facing a possible sentence of up to life imprisonment and a fine not to exceed $250,000. Arispe-Elizondo had previously pleaded guilty and was later sentenced to serve 100 months in prison. The investigation was conducted by ICE and Texas DPS and was prosecuted by Assistant United States Attorney Aníbal J. Alaniz. Texans can now dial 2-1-1 to receive over-the-phone medical guidance about what they should do if they or a family member have flu symptoms. The state’s 2-1-1 health information helpline is now staffed with medical professionals who can provide information about managing flu symptoms and advice on when to seek medical care from a physician or emergency room. The guidance is not intended to replace specific instructions people receive from their physicians, Lakey said. The 2-1-1 staff also can provide general flu information and vaccine availability information for individuals and health care providers. Calls are answered round-the-clock. Callers are instructed to choose a language and then press “6” for flu information and guidance. Basic flu symptoms include fever, cough and sore throat that usually come on suddenly. Most cases are relatively mild to moderate and do not need emergency treatment. Most people who have H1N1 flu or seasonal flu just need appropriate fluid intake, fever-reducing medication, rest and careful monitoring, Lakey said. Recovering at home also lessens the burden on the health care system. People with underlying health conditions who think they have the flu should contact their health care provider. The flu information and guidance service is provided through a DSHS contract with the 2-1-1 Texas Information and Referral Network operated by the Texas Health and Human Services Commission. For more information about flu in Texas, visit DSHS’ http://www.TexasFlu.org. Since the publication of Dr. Atul Gawande’s article, The Cost Conundrum: What a Texas Town Can Teach Us About Health Care, in the June 1 edition of The New Yorker, the City of McAllen has been under siege by an army of health care reformers. The legions of reformers have castigated McAllen as a city of medical greed, the most expensive medical community in America, and the potential source of waste reduction that would pay for most of the health care reform proposal. President Obama declared the article “required reading” in the White House. But the facts say the charges are not true. No one faults Dr. Gawande’s reporting of conversation with people in South Texas. We’re glad he visited the Rio Grande Valley. But there is growing doubt about his data that purported to show that McAllen and Hidalgo County are the home of the most expensive medical care in America. The problem is that Dr. Gawande’s analysis is based on the Dartmouth Atlas Project, and therefore, depends only on Medicare statistical data, leaving overall health care spending out of the equation. The picture painted by the data used by Dr. Gawande is woefully incomplete. It is not just Medicare data that is an inaccurate predictor of overall health spending; it is also a poor indicator of Medicare spending. 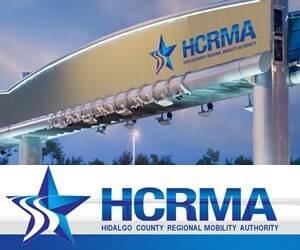 When McAllen residents leave Hidalgo County for Houston to obtain expensive cancer care at M. D. Anderson Cancer Center, Medicare assigns those costs to Hidalgo County – not Houston where the actual spending occurred. 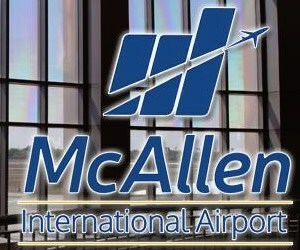 Six percent of Hidalgo County residents left the area for care in 2005, and all $283 million in Medicare costs were assigned to McAllen. That data is part of Gawande’s incomplete and inaccurate analysis. None of this is to say that McAllen has no health care problems. Hidalgo County has a 38 percent obesity rate, along with a high degree of alcoholism and poverty. Nearly 28 percent of our population is uninsured, and an equal number depends on Medicare and Medicaid. McAllen residents don’t take good care of themselves, their conditions often become chronic (such as obesity leading to diabetes), and many who have insurance coverage find it doesn’t do much to help them to get well. My point is not to assail Dr. Gawande, who I am told is a brilliant physician. My desire it to defend McAllen and other Rio Grande Valley cities against what I believe are conclusions based on incomplete data and to warn our national policymakers against rooting reform of the American health care system in those conclusions. A Veterans Day ceremony, set for Wednesday, November 11 at the Veterans War Memorial of Texas in McAllen, has been scheduled to honor the 32 soldiers and marines from the Valley who have been killed in Iraq and Afghanistan. The Veterans War Memorial of Texas is next to the McAllen Convention Center, near the intersection of 29th and Galveston. Three granite walls will be dedicated, inscribed with a picture and information on each of the servicemen. “Representatives from each of the families will be on hand for the dedication of these walls that will honor the memories and the sacrifice of these brave Valley natives that gave their lives for our Nation,” said Col. Frank Plummer, an event organizer. In addition to the dedication ceremony, there will be patriotic songs, music and speakers to share the meaning of Veterans Day and to honor all veterans for their service to the nation. All veterans, non-veterans, families, teachers, students, and other community members are encouraged to attend to honor all veterans for their service and remember the sacrifice of those who gave their lives for our Nation. Please go to the Veterans War Memorial of Texas website at http://www.mcallen.net/veterans/default.aspx or call Frank Plummer at 956.631.2511 for more information. Veterans Day is an annual American holiday honoring military veterans. Both a federal holiday and a state holiday in all states, it is usually observed on November 11. However, if it occurs on a Sunday then the following Monday is designated for holiday leave, and if it occurs Saturday then either Saturday or Friday may be so designated. The status of our South Padre Island and Port Isabel communities recently ascended higher through two milestone events. We celebrated the 35th anniversary of the Queen Isabella Memorial Bridge with a ceremony on the Port Isabel side of the causeway, and an hour later that same Sunday, September 26 morning, we inaugurated the South Padre Island Birding and Nature Center. Both are testaments not only to the area’s rapid growth, but to the communities efforts to accommodate that growth. Just as it was 35 years ago in 1974, the Queen Isabella Bridge continues to connect the two great communities of Port Isabel and SPI, and will continue to play a significant role in the economies of both areas. The first causeway completed in 1954 officially opened the island to tourism, but the traffic from the rapid prosperity and development of SPI and Port Isabel quickly outgrew the two-lane bridge. Today’s four-lane bridge opened in 1974. The bridge has contributed to a $185 million increase in assessed taxable property value for Port Isabel. No one could have imagined in 1974 that the $12 million it cost to build the bridge would ignite such an economic boom valued at over 12 times its original investment. It is also estimated that 690,000 vehicles travel to and from the island every month. That’s a grand total of 8.3 million vehicles annually. What will that number be in say 10 to 20 years? Enter the SPI Birding Center, which will attract hundreds more tourists to the area. It is time to seriously evaluate the construction of a second bridge to handle the ever growing traffic, especially from the increasing nature enthusiasts and bird watchers that our state-of-the-art birding center is already attracting. At the Queen Isabella event, we also paid tribute to the eight victims who lost their lives Sept. 15, 2001, when four barges and a tug boat struck the bridge causing it to collapse. We were reminded of the spirit of friendship and compassion that prevailed between these two communities and the dozens of volunteers who offered assistance from throughout the area and state. In honor of the victims and their families, I passed a bill in 2003 renaming the bridge the Queen Isabella Memorial Bridge. But we cannot forget that the collapse had a significant economic impact on the region, since the causeway is the only connecting road between the island and mainland. While ferries and acts of kindness mingled with patience got us across the Laguna Madre and through the ordeal, it wasn’t until Nov. 21 that the bridge became travelable again. That same sense of friendship and cooperation can get us through the difficult process of deciding on a location for a second causeway. The SPI Birding and Nature Center stands as a monument of what a community can do to pull together its resources and acquire legislative funds–$1 million from state appropriations–to build a facility to educate and serve the locals and attract visitors from throughout the country. Already 200,000 ecotourists visit the Rio Grande Valley annually, and now more will cross the Queen Isabella to visit the Center. For now, congratulations to both of these communities who have made great economic and conservation strides, and who continue seeking the best for our residents and visitors. Two federal grants have been awarded to area organizations which protect victims of domestic violence and sexual assault, Congressman Rubén Hinojosa, D-Mercedes, announced on Friday, October 2. One grant will provide nearly $300,000 in funding was awarded to the Migrant Health Promotion, Inc. in Weslaco, which will partner with Women Together/Mujeres Unidas of McAllen, for culturally specific victims of sexual assault. The second grant, totaling nearly $250,000, was awarded to the Women Together Foundation, Inc. of McAllen by the U.S. Department of Justice. The Transitional Housing Grant Program is offered through the Department of Justice’s Office on Violence Against Women. The grant money will be used to secure housing for women fleeing domestic violence, dating violence, sexual assault, or stalking. Regarding the grant of almost $300,000, Hinojosa explained that the Department of Justice’s Office on Violence Against Women elected to award the federal funds to help survivors of sexual assault from culturally specific communities. Many times victims of Hispanic heritage confront challenges when seeking assistance, such as language or cultural barriers. “These funds will target the specific needs these survivors of abuse encounter. Those who are going through a terrible ordeal in the aftermath of a violent attack may be more inclined to seek services from organizations that are familiar with their background, language and culture,” Hinojosa said. The Migrant Health Promotion, will partner with Women Together/Mujeres Unidas of McAllen to implement Una Nueva Manaña (A New Tomorrow). This initial award will allow Migrant Health Promotion to develop a strategic plan for sexual assault services in the Hispanic community and provide advocacy services to sexual assault survivors. It will also allow for the recruitment and training of community volunteers to help with outreach activities for sexual assault survivors. Congressman Henry Cuellar, D-Laredo/McAllen, on Friday, October 2, announced that 30 low-income families in Hidalgo County are closer to reaching the American dream thanks to $1 million awarded to Affordable Homes of South Texas, Inc., by the U.S. Treasury Department. With the $1 million, Affordable Homes of South Texas, Inc., a non-profit organization that serves as a subdivision developer, home builder, and mortgage company, will build 30 homes in Hidalgo County. “This award will definitely go a long way as it will give us more resources to help serve low-income families in our communities,” said Robert A. Calvillo, executive director of Affordable Homes of South Texas, Inc. Since the non-profit agency is its own builder, homes will be sold at cost, thus saving the homebuyer thousands of dollars. On average, the homeowner will pay an interest rate between 6 to 6.5 percent over 30 years. Have a minimum of $200 disposable income per month. The funds that Affordable Homes of South Texas, Inc. received are from the Treasury Department’s Community Development Financial Institution (CDFI) Program. Affordable Homes of South Texas, Inc. was one of only 62 institutions selected nationwide from an applicant pool of 194 organizations that had collectively requested over $273 million in awards. The 62 organizations being awarded are headquartered in 24 states, the District of Columbia and Puerto Rico. All organizations are selected for an award through a competitive application process involving a Comprehensive Business Plan review. The CDFI Program invests in and builds the capacity of existing private, for-profit and nonprofit community-based lending organizations known as CDFIs that serve rural and urban low-income people and communities across the nation that lack adequate access to affordable financial products and services. Cuellar is a member of the U.S. House Homeland Security, Agriculture, and Government Oversight & Reform Committees in the 111th Congress. Accessibility to constituents, education, health care, economic development, and national security are his priorities. Congressman Cuellar is also a Senior Whip and member of the Blue Dog Coalition. 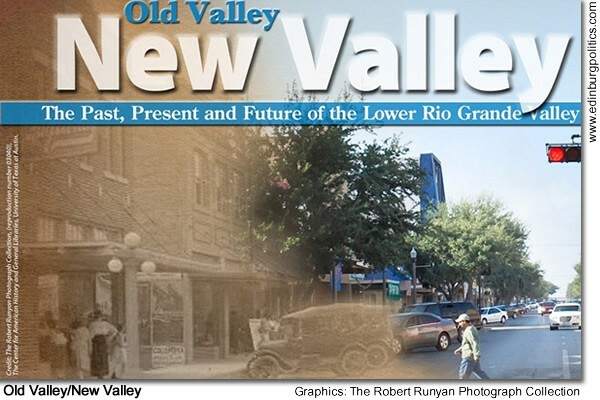 South Texas College’s History Department and The University of Texas at Austin’s Center for Mexican American Studies have joined forces to produce a landmark symposium, The Old Valley/New Valley: Analyzing the Past, Present, and Future of the Lower Rio Grande Valley. The event brings scholars and experts from across the United States and Mexico to talk about Valley history, economics, culture, education, medicine and more. The symposium kicks off with a reception on the evening of Wednesday, November 4, with full days of panel discussions from Thursday, November 5 through Saturday, November 7. All activities take place at STC’s Pecan Campus Cooper Center, located at 3201 West Pecan Boulevard. in McAllen. Admission to all symposium events is free and open to the public. Of particular note is a session planned for the afternoon of Thursday, November 5, when five economic experts will discuss the past, present and future of the Valley’s economy. Panel participants include Bill Gilmer, senior economist and vice president of the Federal Reserve Bank of Dallas; Agustín Del Río, the regional delegate in Monterrey of the Banco de México; Jojo Estrada, an economist with the Local Government Assistance and Economic Analysis Division of the Texas Comptroller of Public Accounts; and Armando C. Alonzo, author and borderlands historian specializing on the social and economic history of Texas and Northern Mexico. Additional speakers include experts and authors from The University of Iowa, Rice University, The University of California at Los Angeles, The University of Texas at Austin, the Smithsonian Institution’s Center for Folklife and Cultural Heritage, and The University of Maryland, just to name a few. Attendees from across the region will benefit from new knowledge shared on population growth, economic trends, health care issues, cultural practices and educational concerns. The information can be utilized for investment ideas, policy development, as well as general historical knowledge. After each panel presentation, audience members will be able to interact with presenters in question and answer sessions. The Rio Grande Valley will play host to the American debut of the final version of ALTAR: Cruzando Fronteras/Building Bridges, a documentary film about the late Chicana activist/scholar/poet/writer/artist Dr. Gloria E. Anzaldúa, perhaps the most famous and most influential graduate from the University of Texas-Pan American. ALTAR will be shown several times between Wednesday, October 14 and Saturday, October 17. The director of the film, Dr. Paola Zaccaria, will be in McAllen and other parts of the Valley during these events, thanks to the McAllen Chamber of Commerce’s generous sponsorship. A workshop for filmmakers is also planned. Zaccaria is a professor of American Lit at the Università degli Studi di Bari, in Italy. ALTAR is not a biography, but it discusses how inspired artwork, discussions about the borderlands, etc. The film itself is an altar to Anzaldúa. It is beautifully shot and edited, with great music by Lourdes Pérez. The film was shot, partly in McAllen, Mission, Granjeno, and Hidalgo. Anzaldúa, born in Raymondville and raised in Hargill, was quite famous as a writer and scholar worldwide but not often known in her own Rio Grande Valley. Her writings are included on the College Board’s Advanced Placement English exams, in literature from the U.S. Deptartment of State and the United Nations, etc. When she died in 2004, messages poured in from around the globe, including China, for example. Zaccaria will be at South Texas College (Pecan Campus) on Wednesday, October 14 at 4 p.m. at the library’s Rainbow Room in Building S on the corner of 29th and Pecan Boulevard. in McAllen. Contact Esther García at (956) 872-6485. At UT-Pan American, Zaccaria will be at the Student Union on Thursday October 15 at noon and again on campus at 7 p.m. at an auditorium to be announced soon. Contact Virginia Haynie Gause at (956) 381-2303. 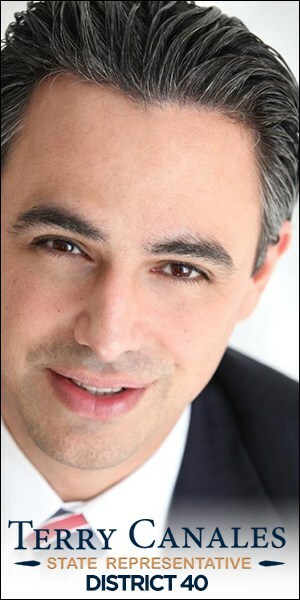 Zaccaria will conduct a workshop on filmmaking for the Rio Grande Valley Film Commission on Saturday, October 17 at the McAllen Chamber of Commerce at 1200 Ash St. Contact Martiza Muñoz to sign up at (956) 682-2871. Music & Technical Credits: http://www.vipf.org/AltarCredits.html. Gov. Rick Perry on Friday, October 2, signed Senate Bill 872 by Sen. Eddie Lucio Jr., D-Brownsville, and sponsored in the House by Rep. José Menéndez, D-San Antonio, that allows survivor families of law enforcement officers killed on duty to remain eligible for health insurance and at affordable rates. At the bill signing ceremony, Lucio was also presented the Visionary Leader Award by the Combined Law Enforcement Associations of Texas (CLEAT) for his legislative work on behalf of Texas peace officers. He is the second person to receive this prestigious award. SB 872 corrected a misinterpretation of a bill Lucio passed in 1993 regarding how benefits are paid by the families of peace officers who died in the line of duty. “I was saddened and angered last year when I learned from CLEAT that the state and some local jurisdictions were not following the intent of my former bill,” Lucio said. In one case, the state raised the premium for the family of Game Warden Justin Hurst of El Campo, who was murdered in 2007, from about $300 a month to more than $700 per month. Many survivors were unable to afford the insurance and allowed their policies to lapse. Senate Bill 872 also allows those who lost coverage to reapply at the same rate. The bill also allows survivor families who drop coverage or are canceled to rejoin the insurance plan, even if the spouse remarries. The time to decide on continuing coverage was also extended from 90 to 180 days, allowing grieving families additional time to get their affairs in order and make these decisions. Paying tribute to his deceased father, who was a 30-year veteran of the Cameron County Sheriff’s Department, Lucio said that he would have been proud to see his son receive this award. 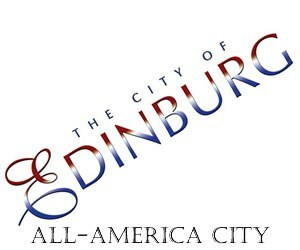 Chief of Staff Ian Randolph handles this issue for Lucio and can be reached at 512/463-0127. South Texas College’s Institute for Advanced Manufacturing is preparing to offer customized training in robotics to Rio Grande Valley employers. Trainings will prepare workers to program, maintenance and repair 6-axis industrial robots. Funding for the purchase of training equipment was made possible through grant funding from the City of McAllen. STC’s IAM will begin offering trainings in October 2009 on the Fanuc Industrial Robot. Students will learn to maintenance and program robots that can paint, assemble, package, inspect products and, most importantly, weld. The institute also recently acquired a classroom training robot that can be moved from location to location to take basic trainings right to the employer’s factory floor. Grant funding for trainings is available to qualifying Valley employees. For more information about industrial robotics training offered through STC’s Institute for Advanced Manufacturing call at 956/872-6222 or 956/872-6197. Hispanic households contributed more than $171 billion to the Texas economy in 2008, and their annual buying power is expected to rise to nearly $252 billion by 2013 – a 47 percent increase in just five years, according to a study by the Selig Center for Economic Growth at the University of Georgia. According to the U.S. Census Bureau, Texas was home to 8.9 million Hispanics in 2008, 37 percent of the state’s population. In the 2008 Hispanic Business 500, the Top 20 Hispanic businesses in Texas produced revenues of $3.98 billion and employed 14,617 people. 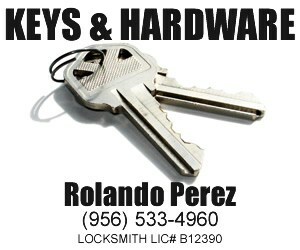 Nationally, the Census Bureau reports there were 1.6 million Hispanic-owned businesses as of 2002. That year, Harris County had the third-highest number of Hispanic firms in the nation (61,934), behind Los Angeles County and Miami-Dade County. The number of Hispanic-owned companies nationwide grew by 31 percent between 1997 and 2002, triple the overall growth rate for all businesses. The Census Bureau expects to release updated figures next year. A good way for Hispanic companies to increase their business and improve their revenues is to become certified as Historically Underutilized Businesses (HUBs). HUB certification, plus registration on the state’s Centralized Master Bidders List, can help businesses win contracts with state agencies which are required to make a good faith effort to purchase goods and services from minority- and woman-owned businesses. In fiscal 2009, 3, 922 Hispanic businesses were certified as HUBs. The state spent about $247 million dollars with Hispanic HUBs, about 27 percent of all HUB spending. In fiscal 2009, the Comptroller’s office spent about $700,000 with HUB certified Hispanic businesses. The agency works closely with the Texas Association of Mexican American Chambers of Commerce and regularly hosts HUB seminars to inform business owners about the opportunities available to HUBs. 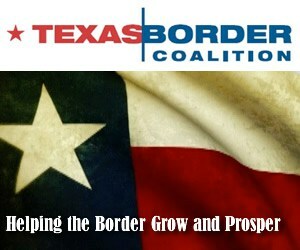 For more information about the state HUB program, visit http://www.window.state.tx.us/procurement/prog/hub/. During his testimony on Monday, September 24, Sturm told the committee that the industry is not seeking a financial “bailout” or any other kind of special subsidy, something that would not be appropriate for an industry whose core mission is news gathering, analysis and dissemination. Instead, he will discuss steps Congress can take — in the short term — to assist all businesses, including newspapers, that are attempting to stabilize their financial situations. • NAA supports legislation already introduced in the House and Senate (H.R. 2452/S.823) that would expand the net operating loss provisions for the benefit of all businesses – small and large. The net operating loss proposal, which would allow businesses to carry back net operating losses for five years instead of two years under existing law, will provide businesses with the incentives to go from cutting to stabilizing and, eventually, to expanding operations — steps that are absolutely essential to sustaining economic recovery. • NAA urges Congress to provide newspapers and other businesses with short-term economic relief by allowing them to spread out future contributions to defined benefit plans. The current funding requirements will require businesses to use cash reserves to fund pension plans, funds that could be used now to preserve jobs and generate much needed business activity in this sluggish economy. NAA urges Congress to pass legislation that would spread out these obligations to give markets more time to recover and businesses more time to stabilize their finances. 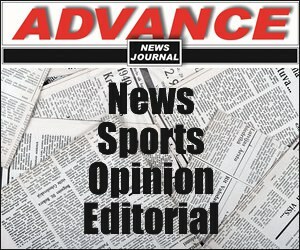 • The Newspaper Revitalization Act has merit and could work in certain situations. This legislation, introduced in early September by Rep. Carolyn Maloney (D-NY), chair of the Joint Economic Committee, would allow newspapers to organize as non-profit entities while continuing to generate advertising revenue. While NAA believes this proposal has merit and could work in certain situations, it would require local citizens and civic leaders in a community to commit a significant volume of resources to fund newspapers’ journalistic functions. • NAA recognizes that newspapers – on their own – must adjust their business models to find a way to monetize online content in a way that contributes to local journalism. The original reporting done by newspapers each and every day cannot be sustained over the long run if newspapers are not able to obtain fair and reasonable compensation for the content they produce. The industry is working on a variety of solutions to address this issue and make it convenient for users of newspaper-generated content to license and pay reasonable fees for such use. We expect these solutions will be in the marketplace next year. NAA is a nonprofit organization representing the $47 billion newspaper industry and more than 2,000 newspapers in the U.S. and Canada. NAA members include daily newspapers, as well as non-dailies, other print publications and on-line products. Headquartered near Washington, D.C., in Arlington, Virginia, the Association focuses on the major issues that affect today’s newspaper industry: public policy/legal matters, advertising revenue growth and audience development across the medium’s broad portfolio of products and digital platforms. Information about NAA and the industry also may be found at http://www.naa.org. Anthony Corro, 25, from McAllen, on Monday, September 28, was sentenced to 57 months in federal prison for being a convicted felon in possession of a firearm to be served consecutively to any sentence that may be imposed by a court upon conviction in pending state cases, United States Attorney Tim Johnson announced. The sentence, handed down by United Sates District Court Judge Randy Crane, will be followed by a three-year-term of supervised release. Corro, previously convicted in May 2002 in state court for possession with intent to distribute marijuana, was arrested February 17, 2009, by the Gulf Coast Violent Offenders Task Force serving outstanding state warrants for arrest. At the time of his arrest, Corro was found to be in possession of a loaded .45 caliber semiautomatic handgun. As a convicted felon, Corro is prohibited by federal law from possessing a firearm. Corro has been in state custody since the time of his arrest and will remain in custody. 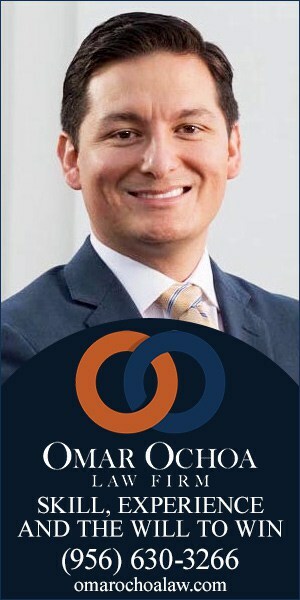 Corro’s prosecution is a part of Project Safe Neighborhoods, an ongoing gun violence reduction initiative of the Department of Justice, which partners federal, state and local law enforcement agencies nationwide to engage in a unified effort to prosecute individuals who possess firearms or ammunition in violation of federal law. The investigation was conducted by the Bureau of Alcohol, Tobacco, Firearms and Explosives with the assistance of the United States Marshals Service and the Texas Department of Public Safety. 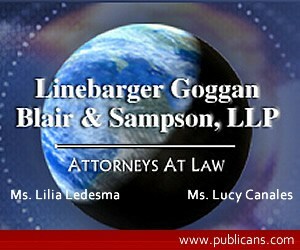 The case was prosecuted by Assistant United States Attorney Steven Schammel.